Trucks and trolleys save time and energy while reducing the risk of injury. Ideally, you’ll have a fleet of specially selected trucks and trolleys to hand, each perfectly designed for the specific job it performs. 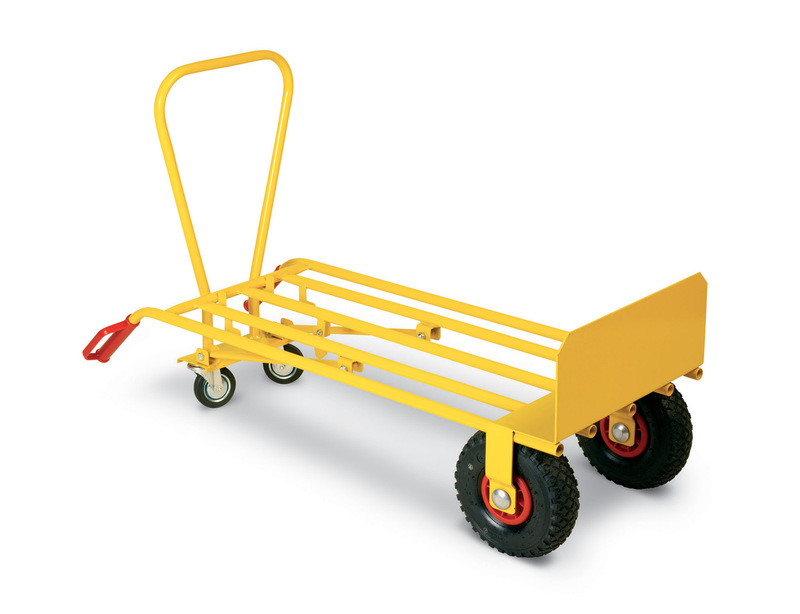 Your picking trolley, for example, could include built-in steps for swift picking while your sack truck is ever-ready for deliveries. Some businesses, however, don’t find themselves in constant need of a specific truck or trolley design. You might not have the funds available or want to invest in several trolleys. …well, stop your daydreaming and meet the MIGHTY MULTI USE TRUCK, otherwise known as the 350kg Capacity 3 Position Sack Truck with Large Toe Plate (but we appreciate the latter is less catchy). This truck can change position to function as any of three different designs. Choose to load it up like a sack truck, trolley or platform truck. This truck proves its worth in a range of workplaces. From the more traditional warehouse setting to schools and cafes, leisure centres and churches, you’ll find this multi-use truck invaluable in almost any work environment. Once you invest in this highly functional truck, you won’t know how you coped without it. Get in touch to find out more on 0800 652 6000 or view our full range of trucks and trolleys here.